In 1938, a well-respected and prolific Viennese composer named Richard Stöhr fled Nazi-occupied Austria for America. At 63, he had been teaching at the Vienna Conservatory for 34 years. Though he had converted to Christianity in his twenties, Stöhr had been born a Jew. After plummeting wartime enrollment put an end to his teaching stint at the Curtis Institute of Music in Philadelphia, he found lasting refuge in 1941 at, of all places, Saint Michael's College in Colchester. Stoehr, as he spelled his name in this country, had living quarters at Prevel Hall. He taught at the college until 1950 and continued composing until 1955. After he died in 1967, his family donated his handwritten music manuscripts and other papers to the college. The material remained relatively unknown until 2002, when St. Mike's archivist Elizabeth Scott asked newly arrived music professor Nathaniel Lew about the composer, she recalls. That launched a process of reintroduction of Stoehr's works to the music world, due in part to Lew, who now chairs the department of fine arts and directs the college's choral activities. On Sunday, February 18, audiences will be treated to the largest effort yet to revive Stoehr's choral music. Three choruses will perform an all-Stoehr program at the McCarthy Arts Center: Counterpoint, an a cappella group led by Lew; Bella Voce Women's chorus of Vermont; and Solaris Vocal Ensemble. Artistic director Dawn Willis leads the latter two groups. Stoehr's oeuvre comprises 141 works, among them seven symphonies, two operas and 27 choral works. He wrote roughly half that output while living in Vermont, including an "Ave Maria" for the new St. Mike's men's glee club in 1954, one of his last works. At the February concert, selections will span Stoehr's Vienna and Vermont periods and include three songs for women's chorus, the men's "Ave Maria" and the three-chorus finale "A Grace for Christmas." Lew previously revived some of the composer's music for the 2004-05 college centennial celebrations and held a major concert of Stoehr's Christmas choral works in 2010. In a "labor of love," the professor has transcribed many of Stoehr's works note by note into digital files. (The manuscripts are hard to read, and no scan-and-convert software yet exists.) This digitization has allowed Scott to email the works to professional musicians who request them. According to Scott, such requests now arrive in increasing numbers from parties ranging from the Juilliard School to European conservatories. Michigan-based cellist Stefan Koch recently recorded two CDs of Stoehr's music, one featuring works for piano and cello in 2014 and one of chamber music in 2018. In 2017, the Vienna Conservatory mounted an exhibit about Stoehr's life, which culminated in a concert of selected works. That conservatory's archivist, Lynne Heller, who wrote the exhibition catalog, collaborated closely with Scott, visiting the St. Mike's archive several times; Scott attended the exhibit and concert in Vienna. 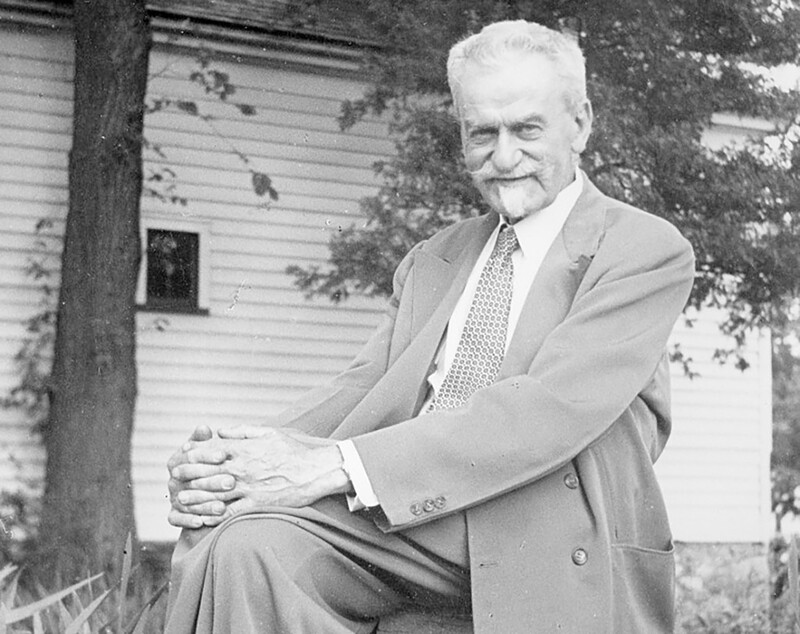 Lew, who describes the trend as a "slow rediscovery" of Stoehr's works by performers, notes that the composer's most productive year was 1942-43 — his second in Vermont. In the catalog, Heller attributes this prolific period partly to the composer's loneliness as a refugee. Before fleeing Vienna, he managed to place his 16-year-old son, Richard, with friends in Scandinavia; his 12-year-old daughter, Hedi, escaped to England on a Kindertransport. Stoehr left behind his wife, Mitzi, who was Christian and, therefore, denied entry to the U.S. for lack of imminent danger. Nine years later, the family finally reunited in Vermont. Hedi, whose married name was Ballantyne, lived out her adult life in Montpelier and died just last month. She had been planning to attend the concert; a piece in it is dedicated to her. Some of Stoehr's grandchildren will attend, including Chicago resident Dan Stoehr, son of Richard Jr.
Lew and Willis spent hours sifting through the archive to identify Stoehr's best works. Willis, whose two ensembles have performed individual works by the composer in recent concerts, describes their joint selections as "sophisticated and moving" and as "contain[ing] beautiful melodies supported by rich and at times surprising harmonies." The three choruses plan to record the music using donations made at the concert, which is free. Theirs will be the first recording of Stoehr's choral music. Cellist Koch described Stoehr's music in a 2014 blog post as "not of uniformly high quality, but his best works span styles from the Schumann/Brahms brand of Romanticism to more chromatic later Romantic influences, with here and there a touch of the modern." While concurring that Stoehr's work is uneven, Lew believes that "his best works are truly rich and deserve to be heard more often." Much of the composer's time was taken up by his renowned teaching; Stoehr also wrote widely translated conservatory textbooks on form, counterpoint and music theory. Lew describes Stoehr's general style as "conservative," harking back to the 19th century, but he also identifies a shift that occurred after the composer's move. "The American stuff is more extroverted, a lot more fun," Lew says. "I feel that he's trying to sound more American." The composer chose to set his choral works to poems by beloved "middlebrow" poets such as Alfred Tennyson and Henry Wadsworth Longfellow; unlike his Austrian compositions, those works "end big," Lew says. For Scott, who has studied history and religion in addition to library science, Stoehr's struggles as a refugee remain absorbing. "I'm fascinated by how much legwork it took to be able to stay in the U.S.," she says. "After Curtis, he worked really hard to find sponsorship and assistance." Scott notes Stoehr's numerous letters to aid committees, friends and acquaintances. Nearly four months passed before a newly hired St. Mike's social science professor — Karl Schwenger, whose wife had been Stoehr's student in Vienna — invited Stoehr to stay with the couple in Burlington while awaiting word from various aid committees about sponsorship. Those four months were a time when Stoehr depended financially on others, with no guarantee of remaining in the U.S. None of the sponsorships he sought came through, but the college agreed to hire the composer to direct musical activities and teach German. "From a historian's perspective," says Scott, "you wonder what would have happened if he hadn't got the [job]." The original print version of this article was headlined "Choruses Revive Works by Late Vermont Composer Richard Stoehr"